PrEP Locator is a national directory of providers of HIV Pre-Exposure Prophylaxis (PrEP) in the US. PrEP Locator seeks to provide patients access to a national, integrated service including both public and private practice providers. An open source tool, PrEP Locator data and map-based widget are easily accessible via API. The Locator seeks to serve as a common repository for information regarding providers and clinics that prescribe PrEP. The Locator is an open source tool for those who are managing existing directories to share their resources in a common format, so that patients can access a national, integrated PrEP provider location service that includes both public and private practice PrEP providers. Data will be made accessible with open source tools to facilitate patient access through existing organizational websites and mobile apps. PrEP Locator is presented by Emory University, in partnership with M•A•C AIDS Fund. The project is led by Dr. Aaron Siegler, Research Assistant Professor of Epidemiology at Emory University’s Rollins School of Public Health. The project is guided by a coalition of partners with expertise in the field of HIV prevention: PleasePrEPMe.org, Greater Than AIDS represented by the Kaiser Family Foundation, National Alliance of State & Territorial AIDS Directors (NASTAD). 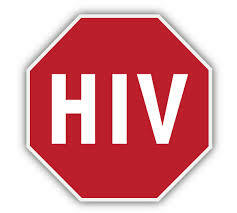 This entry was posted in Activism, Consumer Information, Health Alerts, HIV Prevention, PrEP. Bookmark the permalink.